Gold Sovreign Dava Moor, Moray, Scotland. A tiny hidden lochan close to the roadside off the B9007 which cuts across the Dava moor. it is a favourite haunt of mine and includes a disc of golden grass and a sapphire pool fringed by reeds. During an intensely cold winters morning I arrived to witness a hoar frost coating the island, heather and even the little fir trees beyond. 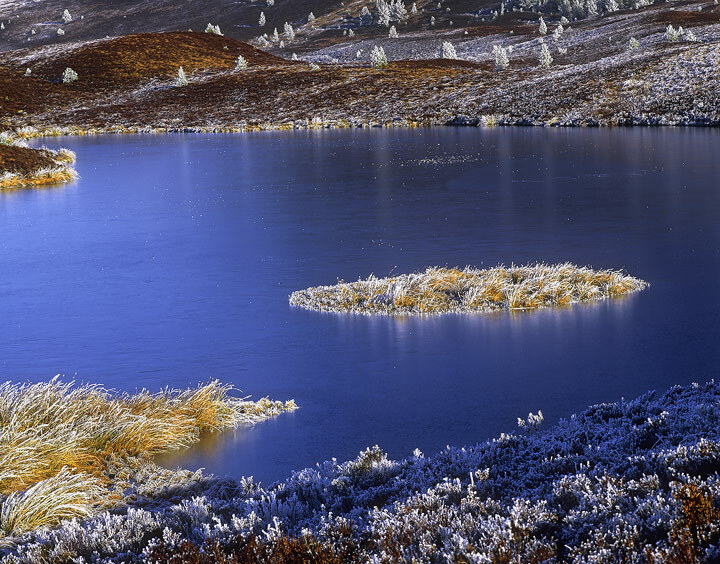 The lochan froze and was groaning due to expansion of the ice in the morning sun.